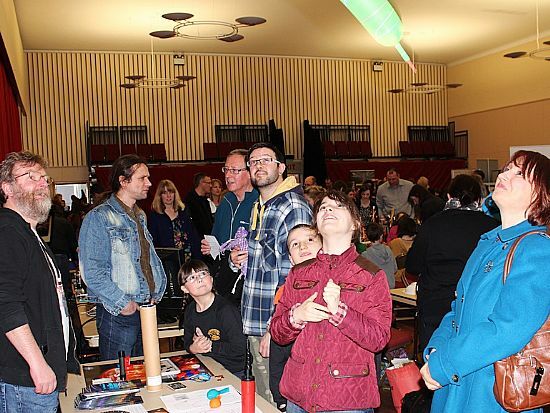 WORK IN PROGRESS - We're a relatively small Group, but undertake lots of activities, so please bear with us while we try to keep these details up to date. 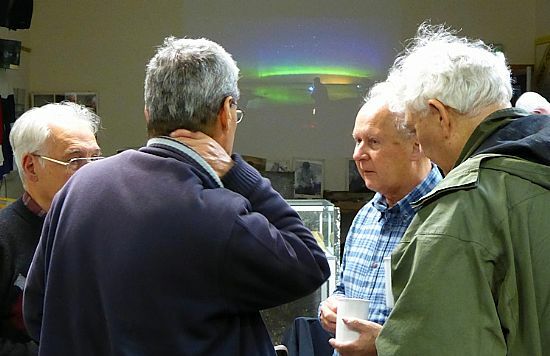 SGL event photos were taken by Gordon Mackie (unless otherwise stated). 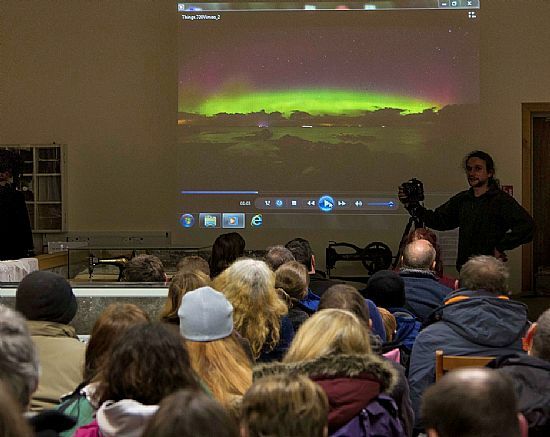 Friday 10th of January saw CAG hold it's event in conjunction with the BBC Stargazing Live series of TV programmes which were aired on the three previous evenings. 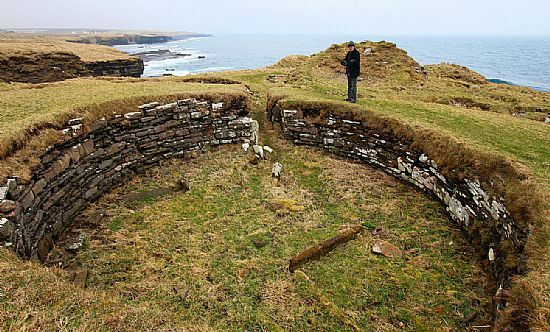 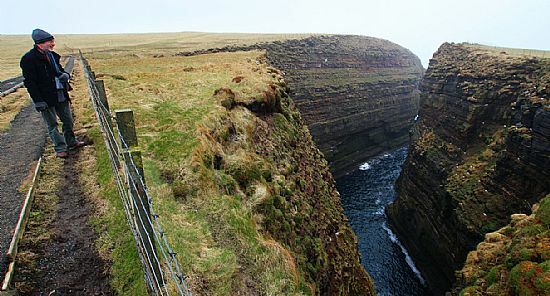 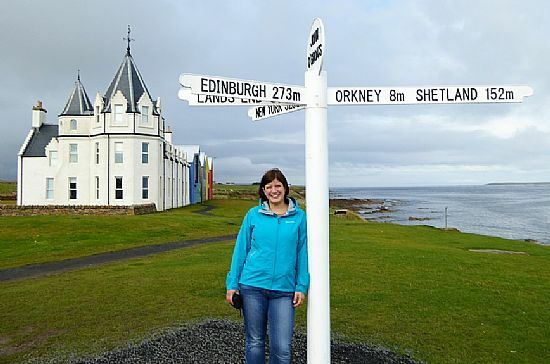 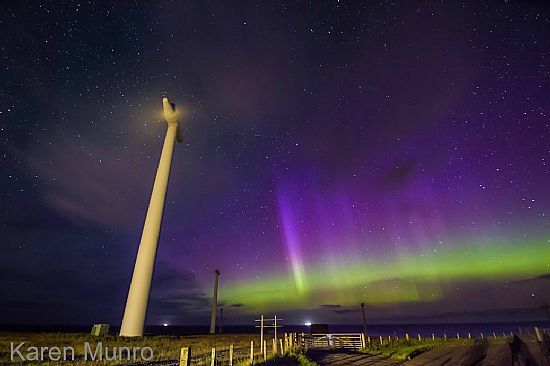 It was good to see 4 Caithness images make an appearance on the programmes (there were two each by Stewart Watt and Gordon Mackie). 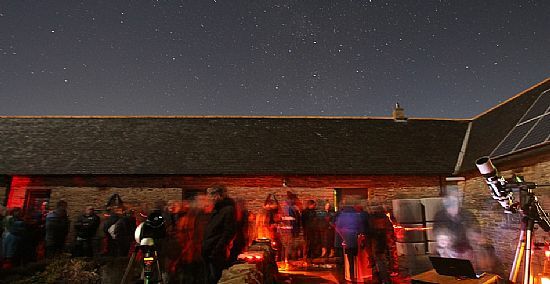 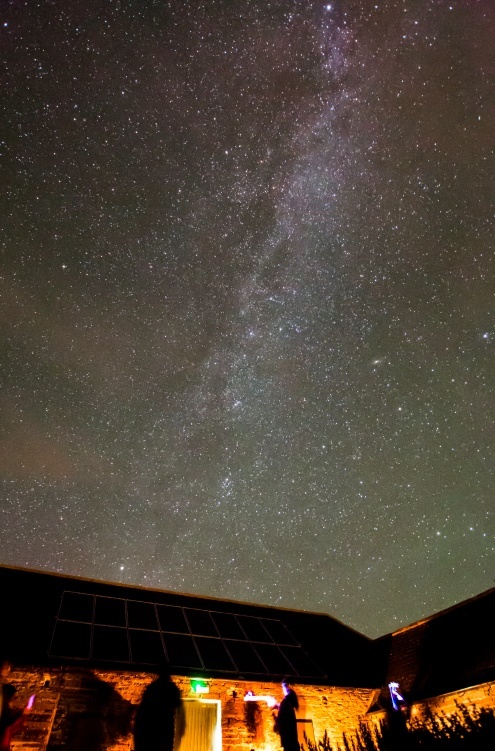 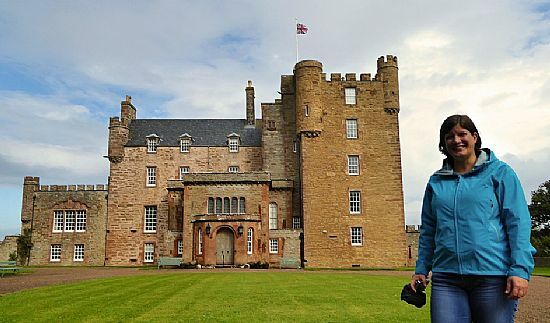 The event was held at the Dark Sky Discovery Site of Castlehill Heritage Centre. 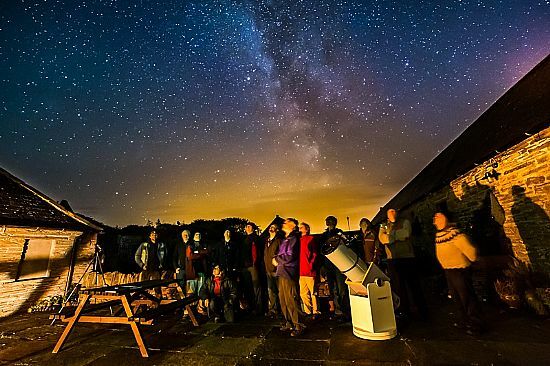 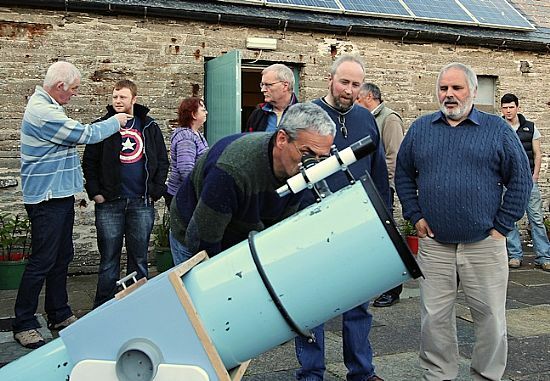 Once again it was very well attended, with around 80 people of all ages turning up to enjoy a night of stargazing. 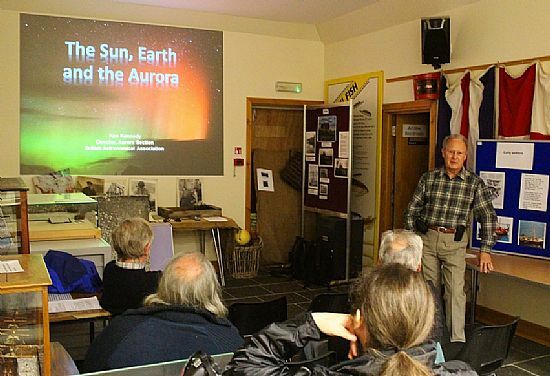 Chairman Gordon Mackie kicked off the evening with a brief introduction after which everyone headed outside for a naked eye tour of the clear star filled skies led by CAG member Mike Lunan…..
After the whistlestop tour around the prominent objects on view there was the chance to get close up views of the Moon and Jupiter through telescopes…. 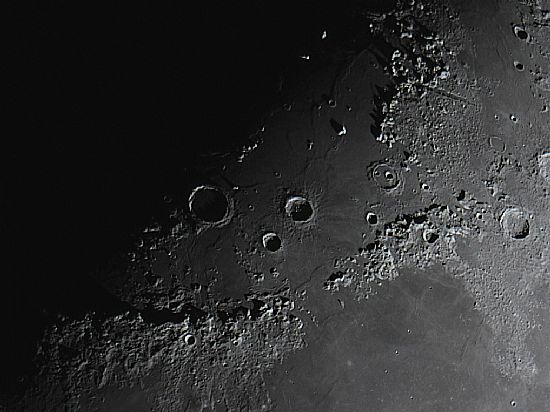 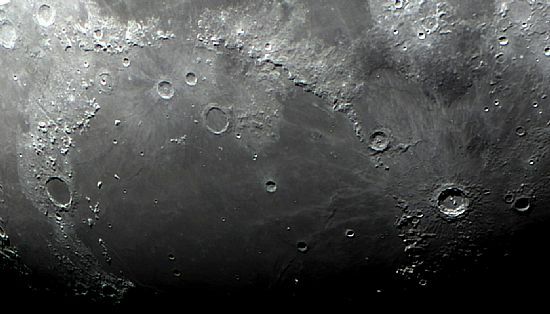 On Earth's Moon the distinctive crater Copernicus was obvious at the end of the Montes Apenninus mountain range…. 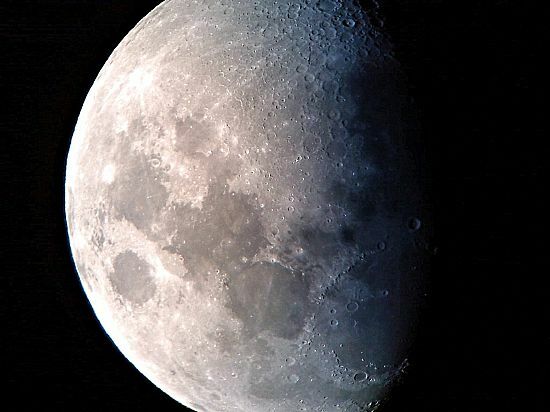 Many also tried out imaging the Moon through CAG’s 10” reflector using the camera on their phones. 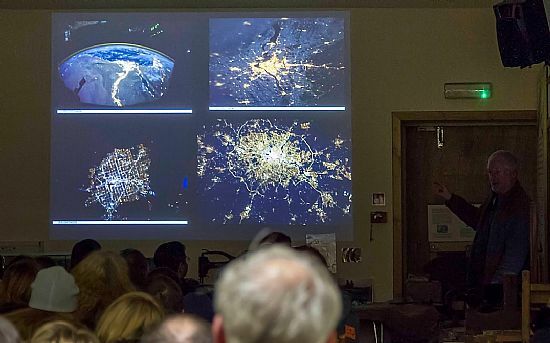 It turned out to be quite tricky, but with some perseverance decent images could be obtained…..
Gordon Mackie then finished the evening with the answers to the quiz and a short talk highlighting how space exploration has given humans enhanced views of our Earth, the Solar System and the Universe as a whole…. 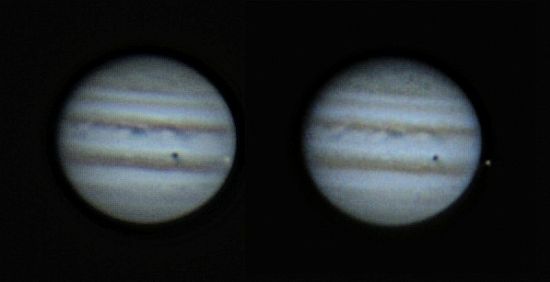 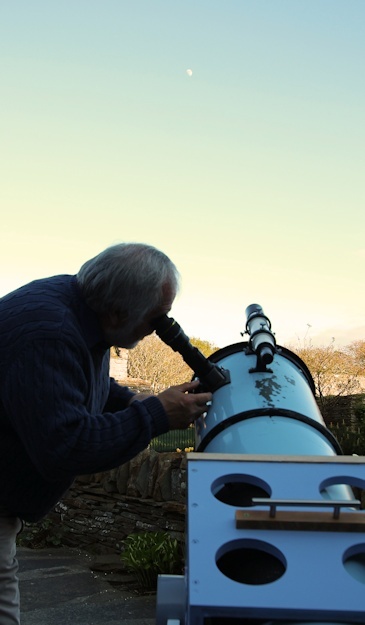 An excellent start to 2014 - here's hoping for more clear skies at events during the rest of the year. 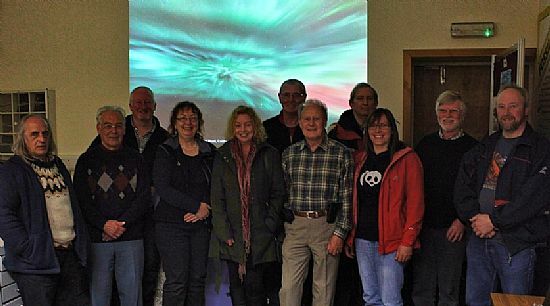 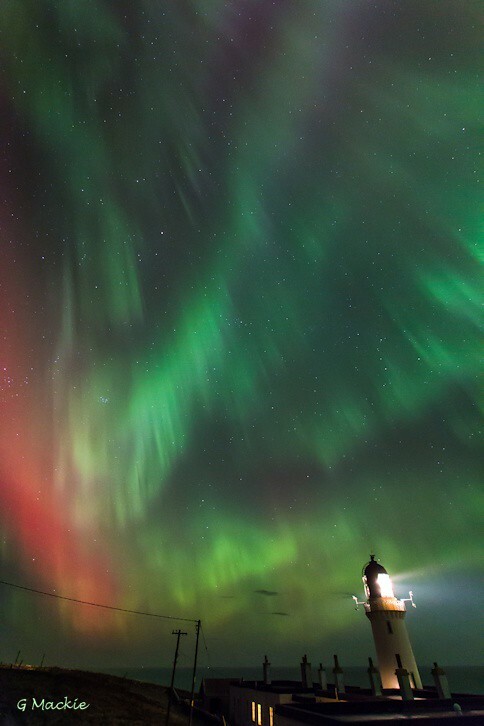 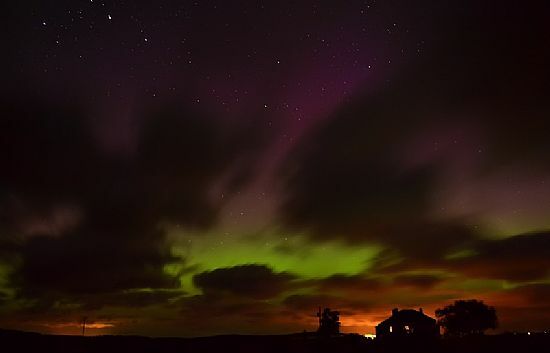 Not a scheduled CAG event, but most members and many others in Caithness got to enjoy the best display of the northern lights for some time thanks to clear moonless skies. 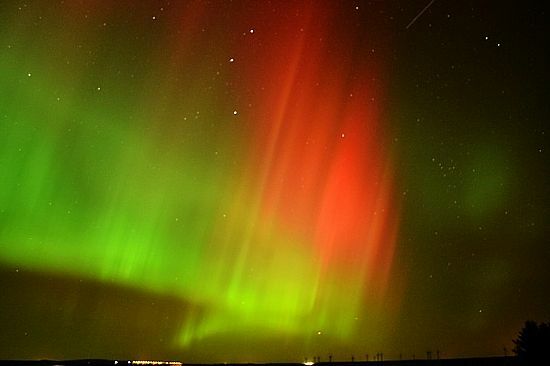 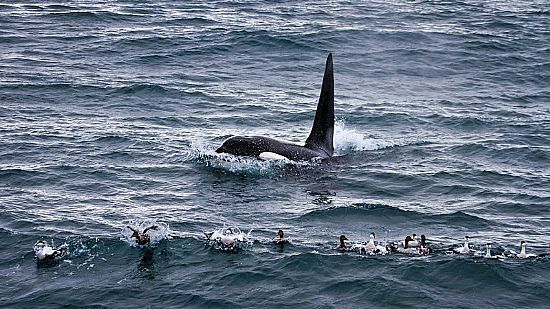 The show lasted all evening and into the early hours of the morning. 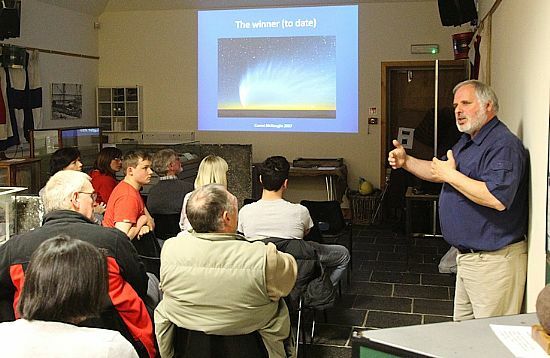 March saw our first guest speaker of 2014 and CAG were honoured to have prolific asteroid and comet discoverer Robert McNaught give a talk on the "Great Comets of the Past 50 Years". 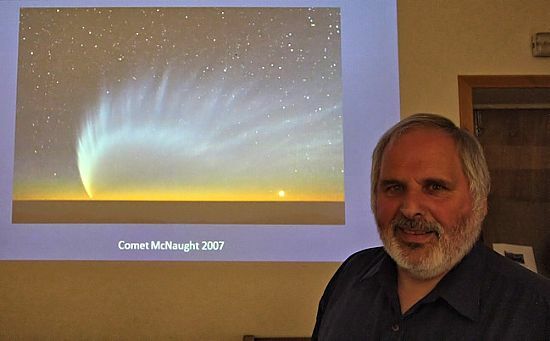 To help make up for the fact that the clouds prevented any observing on the night Robert was good enough to sign photos of the spectacular comet he discovered in 2006 (C/2006 P1 (McNaught)). 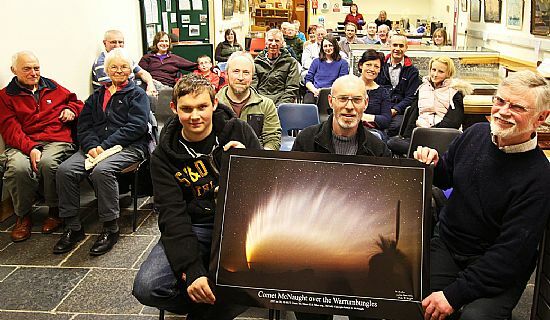 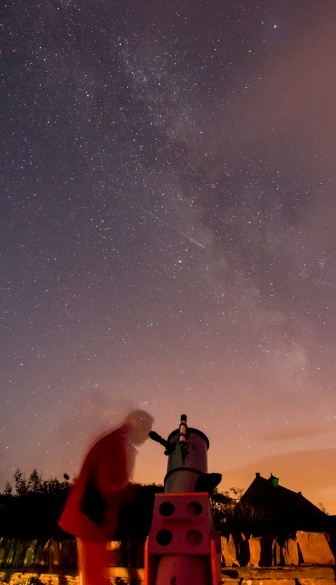 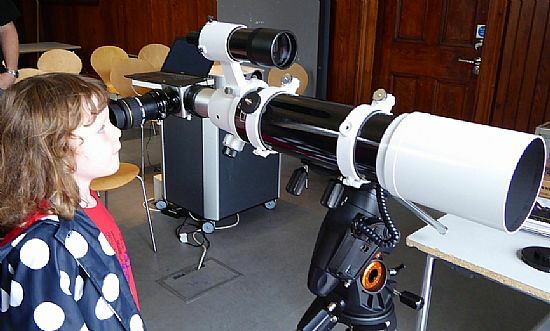 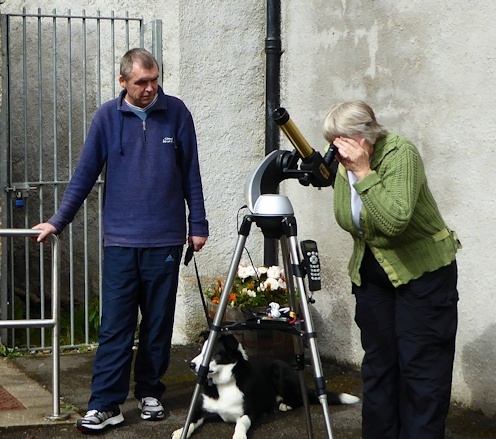 The beginning of May saw reknowned amateur astronomer Denis Buczynski (Secretary for the British Astronomical Association Comet Section) give a public talk on "Comets and the Amateur Astronomer in the Digital Age" at Castlehill Heritage Centre. 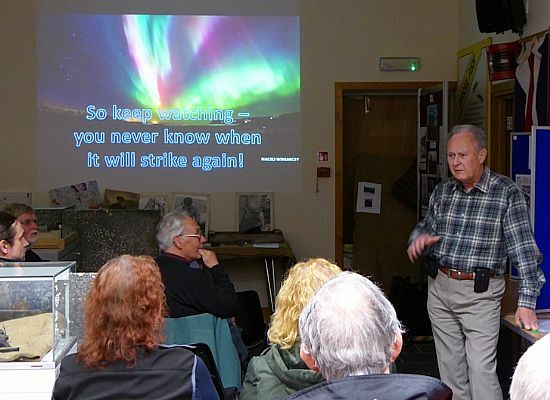 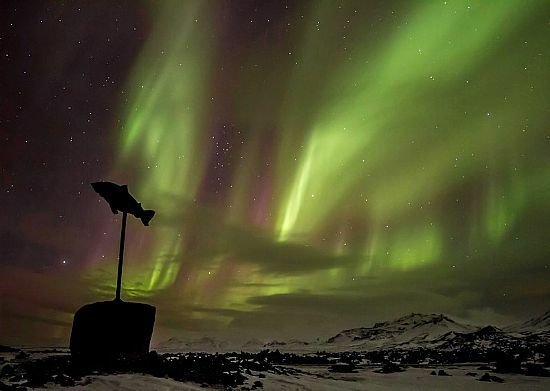 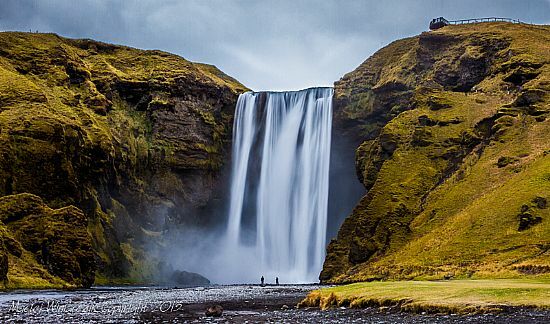 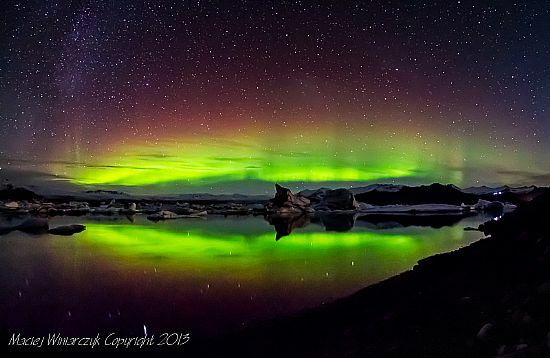 The members event in June saw presentations by 2 CAG members who recently went to Iceland to enjoy the local sights and do some aurora spotting. 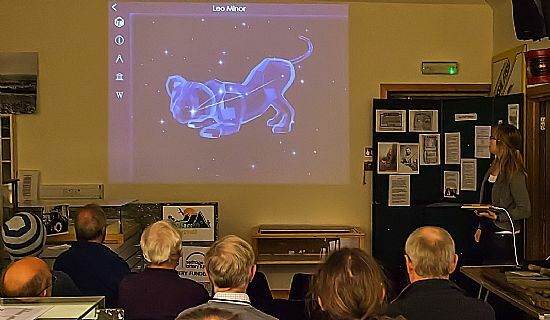 On the night CAG Chairman Gordon Mackie also gave a summary of some of the astronomical related activities undertaken by himself over recent months, with the aim of providing some inspiration to others looking for astronomical topics to explore for themselves. 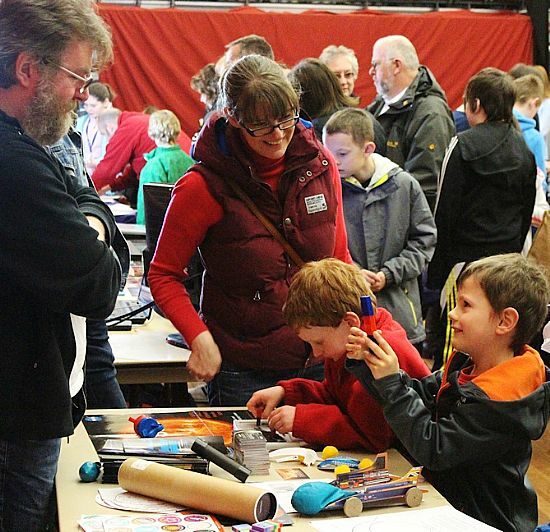 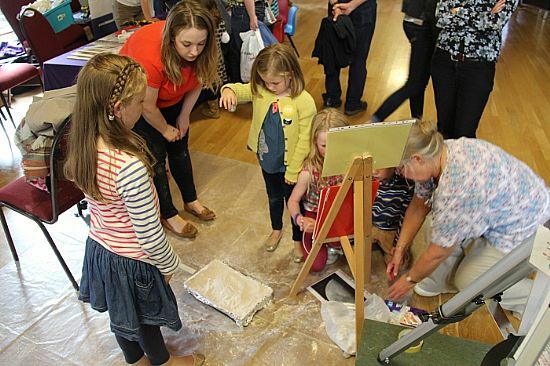 Highlights at our stand were 'Cratering the Moon' and 'Progress on the Rosetta Mission'. 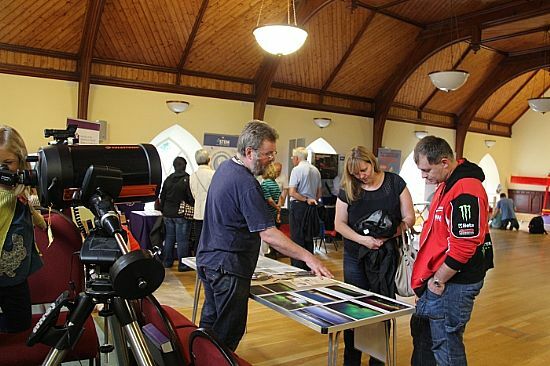 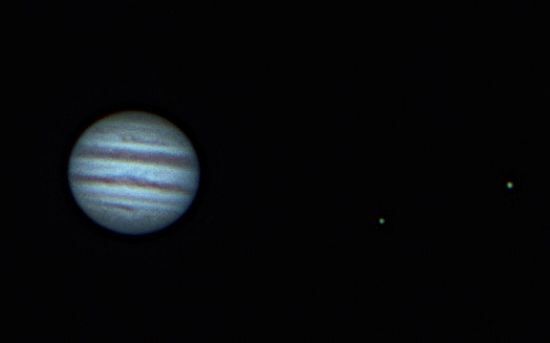 There was the usual array of scopes though only one was focussed on the 'Star' of the show - Buzz Lightyear. 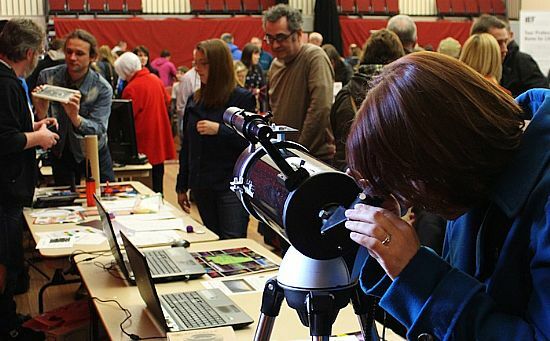 For the 'Cratering' there were 89 enthusiastic participants and all impacts were duly recorded. 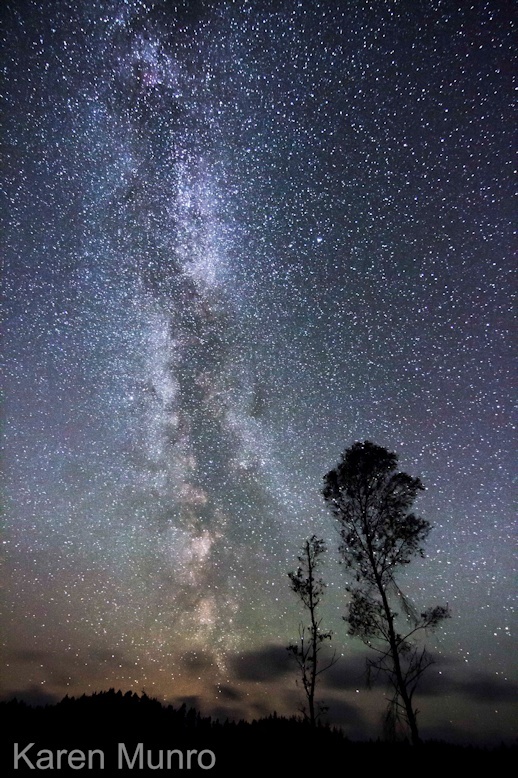 The above two images were taken by Maciej Winiarczyk. 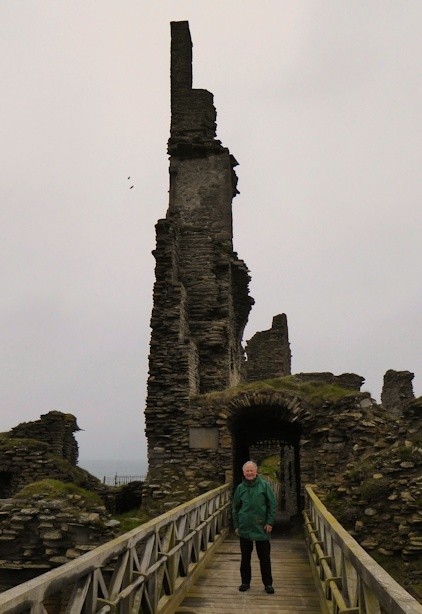 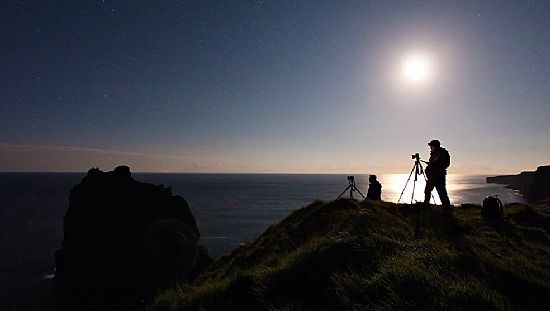 Stewart Watt and John Hilton imaging the moonlit Stacks of Duncansby. 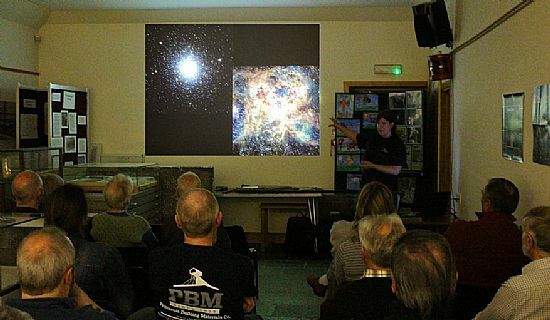 "An Even Briefer History of Time"
CAG members were treated to a talk on Hallowe'en night covering the lifetime of the universe. 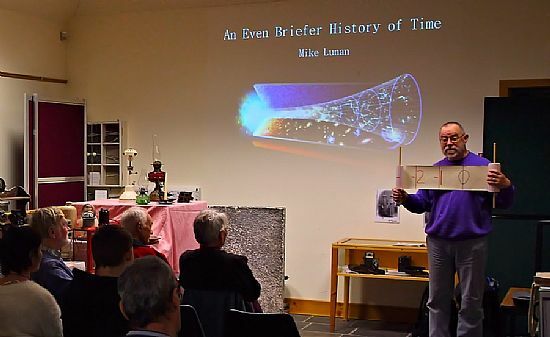 In under an hour, Mike Lunan impressively covered the evolution of the universe from 10-43 seconds right through to its expeceted "end" at >1080 seconds! 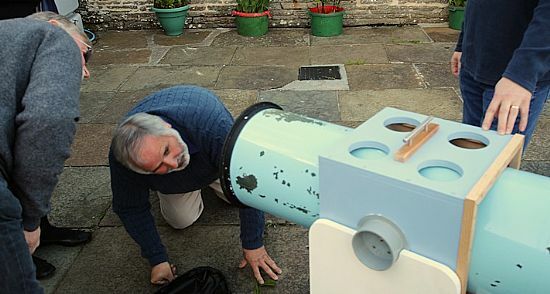 To aid the understanding of such incomprehensible timescales he utilised a prop showing the times involved. 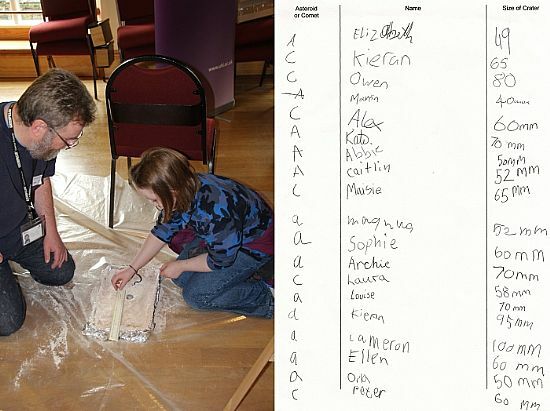 A logarithmic scale was used so it would (just about) fit inside the venue! 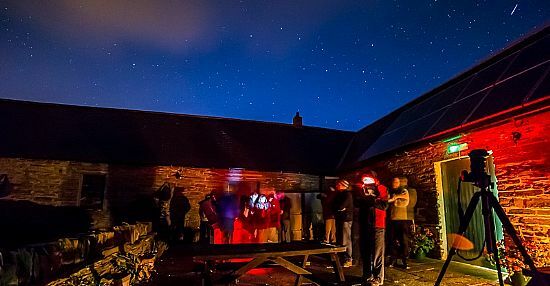 "The Quantum World Through A Telescope"
In November, attendees at the Castlehill Dark Sky Discovery Site were treated to a free public talk by Maarten de Vries of the Highlands Astronomical Society, that described how the big picture of distant objects obtained through telescopes tells us what's happening at the smallest scales. 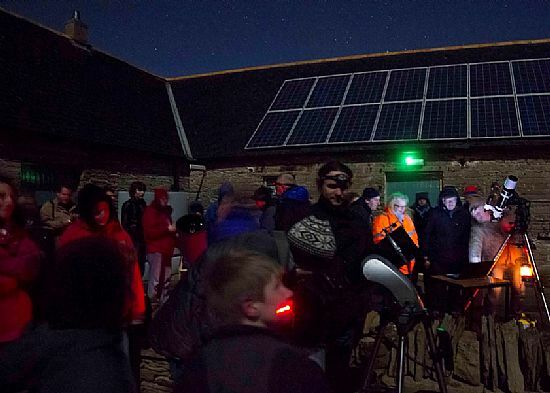 Although the weather prevented observing of the night sky other activities carried out by members of CAG, ensured the pupils had fun whilst learning in an interactive way about space & astronomy. 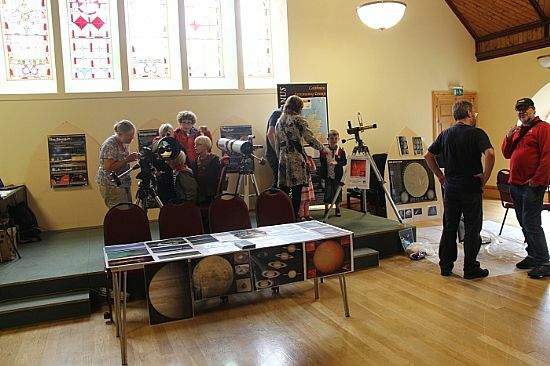 The main topics covered included why the phases of the Moon occur, how telescopes work, the planets of the solar system, and rockets & gravity. 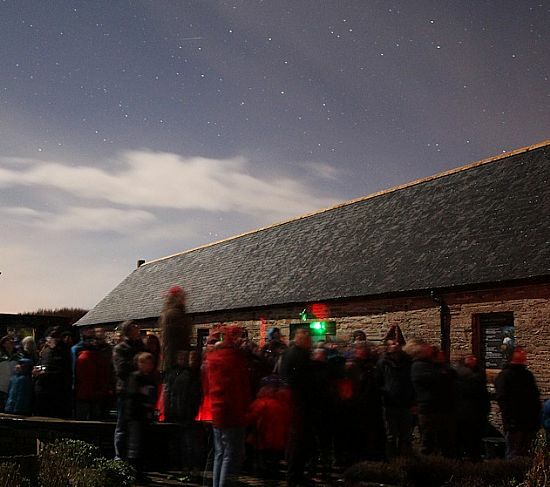 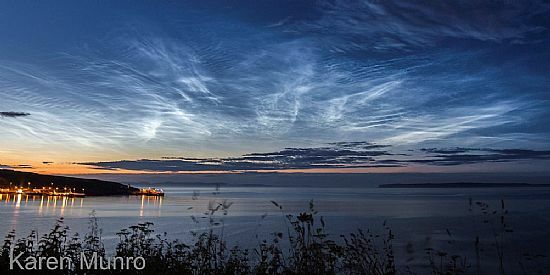 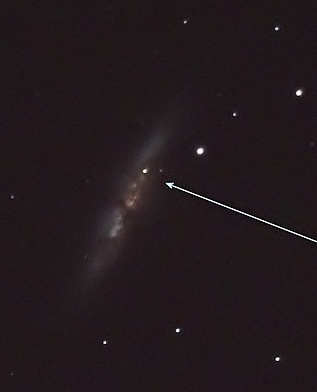 Unfortunately clouds once again prevented viewing of Geminid meteors at the event. 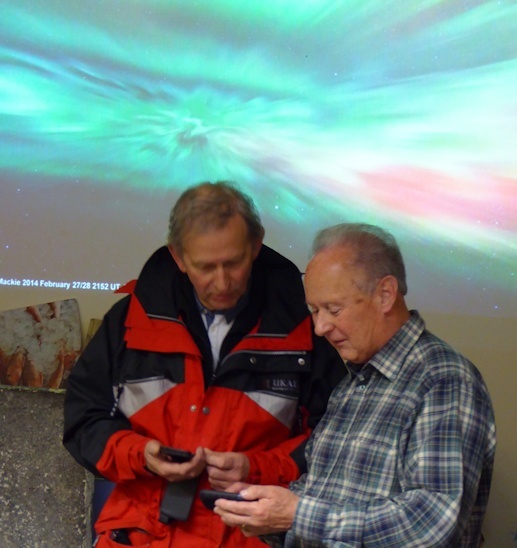 However, a plentiful supply of mince pies and some indoor content kept members amused.